Finally winter arrived in the Lakes today. Had a great day traversing a very wintery Sharp Edge on Blencathra. Snow down to the valley in the North Lakes. 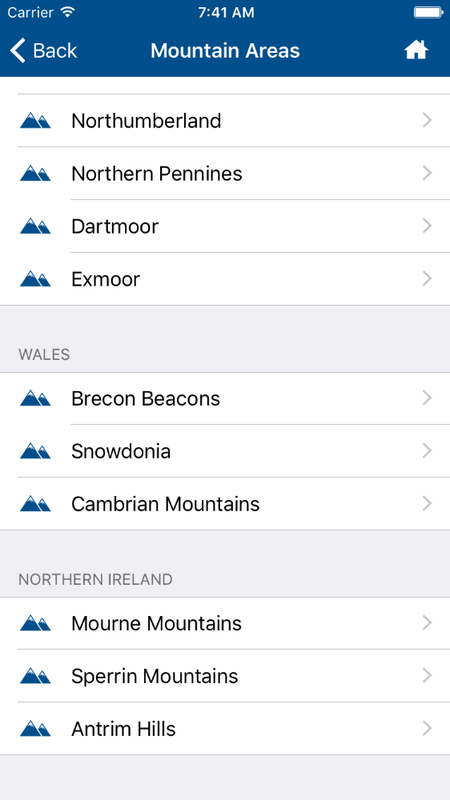 A major new update 1.5 is now available for Mountain Weather UK. 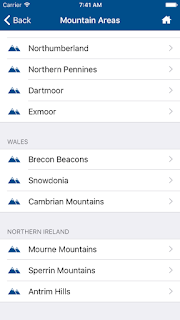 Includes 10 new mountain areas (including Northern Ireland), with google map support for mountain summit and weather stations added to Android version. 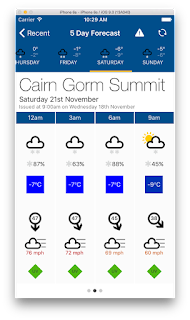 Added 10 additional mountain regions which include regional 5 day forecasts, summit forecasts and weather station observations. 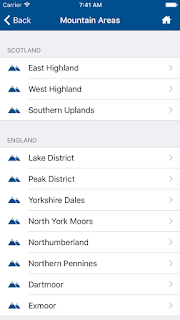 Mountain Weather UK now provides weather information across 17 mountain areas. 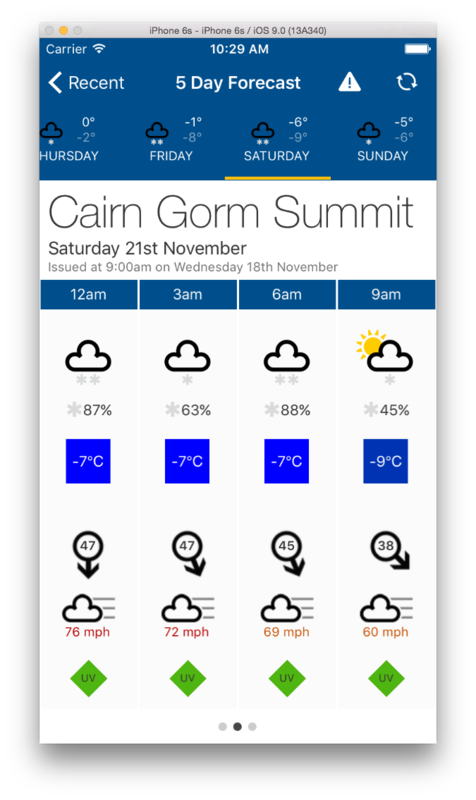 Temperatures set to plummet at the weekend with heavy snow forecast. Just look at those forecast summit temps for the weekend. 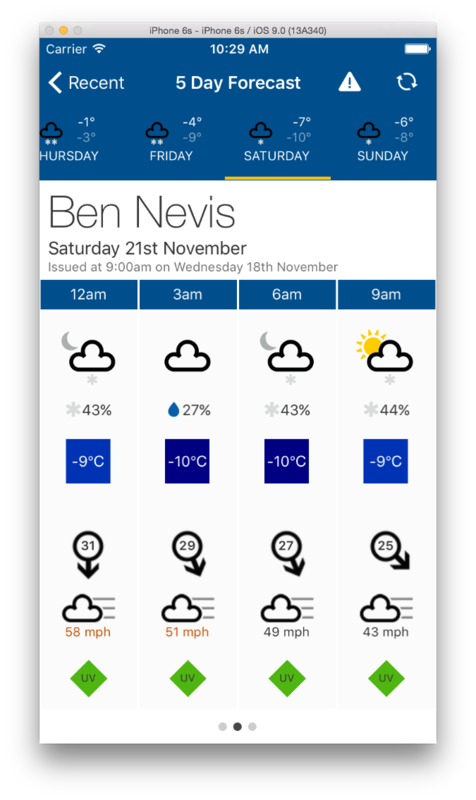 Check out the Mountain Weather UK App for more details. 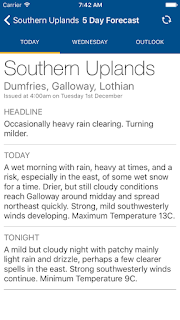 Check if the rain is heading your way before you head out using the forecast maps on Mountain Weather UK. 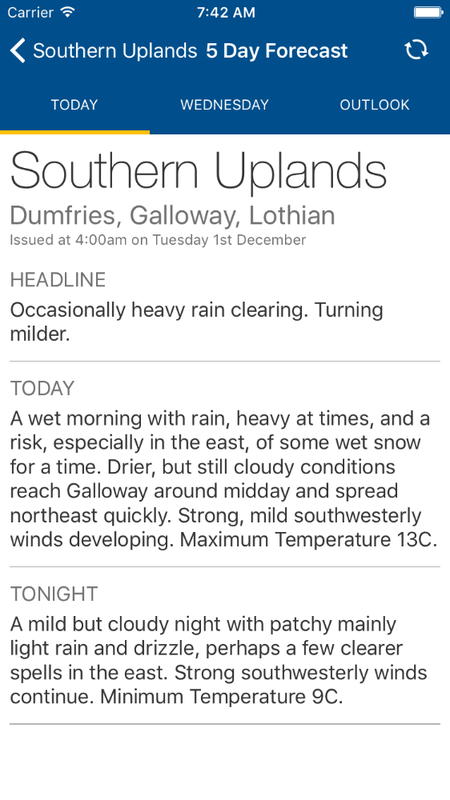 I am very excited to announce the availability of the Mountain Weather UK (MWUK) App. 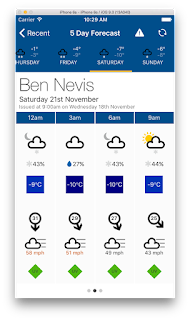 This is the first mobile phone application dedicated to providing weather information for all mountain regions in the UK. 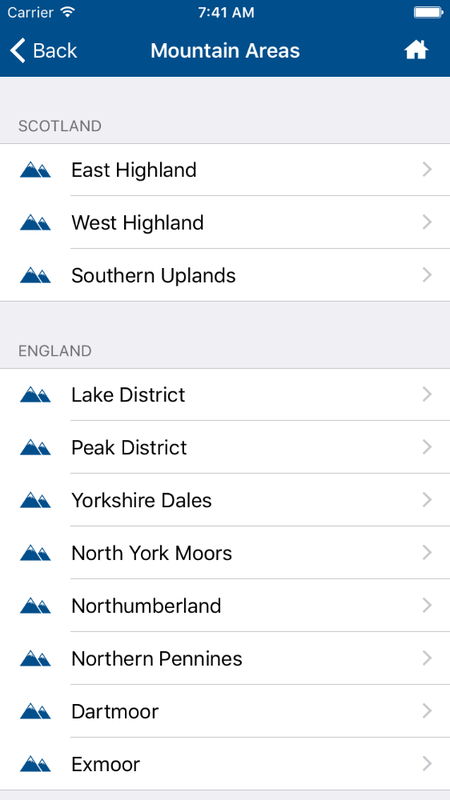 Whether you are climbing, walking, skiing or mountain biking MWUK makes it easy for you to access all this information at your fingertips from your mobile phone. Headed up Cambridge Crag \ North Buttress on Bowfell yesterday for my first winter outing of the season with Lee Sheard. We were treated to a beautiful clear blue sky day amidst snow covered fells. The snow cover only amounts to a few cms but we found the crag to be well hoard up. The turf was very variable, from well frozen to not frozen at all depending on aspect and snow cover. We decided to have a go at Professor V (5) but found the initial start to be absolute nails. After a few attempts by both of us we backed off in favour of finding something easier. We found a really nice line further up the great slab which provided some really nice climbing at about III/IV. All in all a fine start to the season. Blue skies, cloud inversion and snow covered fells.